One would think, whilst visiting Spain, that it’s all about sun, sand, bullfighting, paella & sangria (or any other cliché you can think of) but the truth is, in fact, you couldn’t be more mistaken. Escape from the cosmopolitan coasts and head inland. 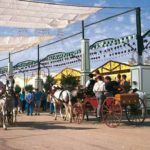 If you’ve visted the typical white andalusian villages like Ronda, Alhaurin el Grande, Arcos or Frigiliana and you still think you’ve seen everything you need to see, then I suggest a trip to Antequera. You’ll discover It has a lot more to offer you than any of the others. What can I say, If you are looking for renaissance architecture or modern buildings amongst beautiful surroundings, great food, fine wine, friendly people and the endulgence of an ideal city break destination, then this is the place to come. Situated at the crossroads of major highways between the provinces of Malaga & Granada. 69,9 km from Malaga airport which means less than an hour’s drive away once you’ve picked up your hired car at arrival (highly recommended to really discover and enjoy the whole area and beautiful scenery). And while i’m on the rental car subject, let me just give one piece of advice: It’s always recommended not only to search for the best price, but to choose a good company you can trust. I had a very good experience personally with one company in particular situated just outside Malaga airport: Malagacar.com . They took care of both, picking me up from the airport at arrival and dropping me off back at the airport (departures) on return to catch that flight back home. Very friendly service and at a very competitive price! Anyway, as I was saying, a city break in the authentic Andalusian town of Antequera will make you realise what Spain is really all about! With it’s manifold churches, prehistoric monuments and architecture, it truly is a hidden treasure. Antequera is very near to some of Spain’s most prominent historical cites, together with some of the best sights and experiences Spain has to offer. For example it has many ancient and splendid churches, cathedrals and convents. Along with the Domenes, (or pre-historic caves), ‘El Torcal’ mountains (with astonishing prehistoric rock formations as well as breathtaking views of the Costa Del Sol over 50 km distant), they make the city a must to go and visit. Antequera, as well as being one of the best preserved towns in Andalucia, is also one of Spain’s best maintained secrets with it’s prehistoric burial mounds, dolmenes, Roman baths, Moorish Fortress, Gothic churches, Renaissance fountains, baroque bell towers and plenty more. Driving from Malaga airport along the A45 autovia, the first glimpses of Antequera you’ll see will awaken inexplicable feelings. Maybe because Antequera is not just another typical white medieval spanish town so it begins to run through the senses. Whilst the great Moorish Alcazaba dominates the town, the valleys below are rich farmlands and olive groves irrigated by the river Guadalhorce. Antequera is definitely a step back in time with a perfect blend of modernity to be perceived. For over a millennium, it has been one of Andalucía’s leading provider of olives, asparagus and cereal crops. In summer, the fields are camouflaged with a layer of yellow sunflowers. The whole municipality is overlooked by a colossal peak of rock known as “The Lovers’ Leap” (or as the locals know it, ‘La Peña de los Enamorados‘). This name originally derives from a local legend that tells the story of a forbidden love affair between a young Christian boy from Antequera and a beautiful Moorish young lady from the village of Archidona nearby. They were chased to the top of the peak by Moorish soldiers, where, rather than renouncing to their love for each other, they chose to throw themselves into thin air falling hundreds of metres causing their deaths. It’s also known amongst the expat locals as the ‘Indian Rock’, as it looks quite like a face in profile of a North American native. Well worth a visit for a day, a week or even longer if you are a golf enthusiast. Antequera hosts one of the best Golf courses in Andalucia, along with it’s own 4 star hotel. « Costa del Sol in Malaga – what’s so special about it?